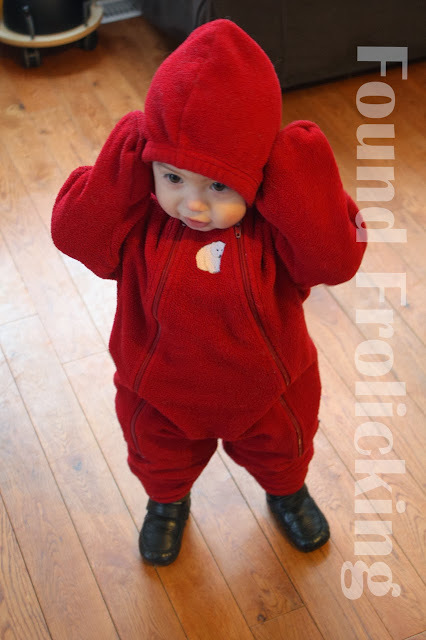 I can't help but think that Baby E looks like a little red penguin or marshmallow in his MEC fleece bunting suit! Absolutely a must for the car seat, since it is not safe to have a thick jacket, snow suit, blankets, etc. between baby and the car seat straps. Disclosure: The watermarked photo above is the property of Found Frolicking. It may not be used, sold, or distributed in any way without first gaining permission to do so. The links above were provided only because they are relevant and may be beneficial to my readers. I was not asked to share them by any source, nor was I compensated for sharing them. What Does Christmas Mean to You? SodaStream Fountain Jet Starter Kit Giveaway! Oh, Baby It's Cold Outside!